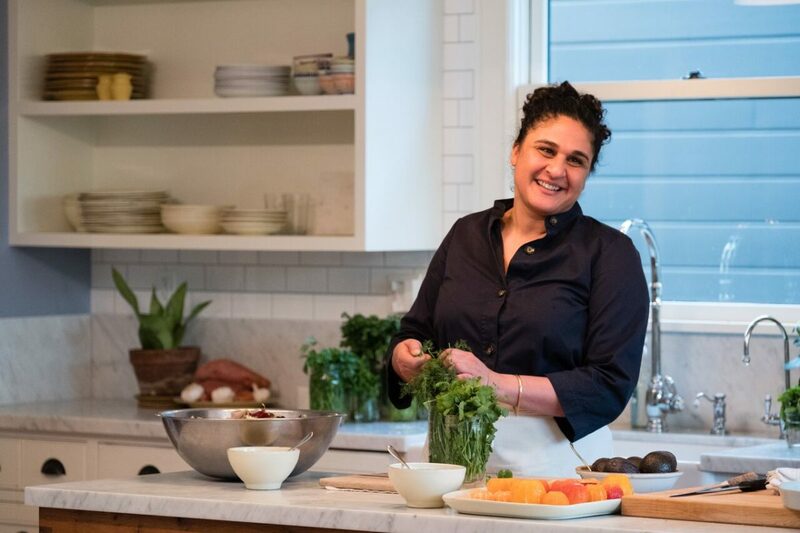 Samin Nosrat in her kitchen in Berkeley, California. Photo courtesy of Netflix. Samin Nosrat arrives half an hour early to our coffee date at Housing Works Bookstore Cafe in Lower Manhattan. “Oops!” she texts. “Gonna go grab falafel.” It was exactly the type of introduction I was hoping for from the chef and writer, whose book, Salt, Fat, Acid, Heat was recently expanded into a Netflix show. The four-part TV series takes on each cooking element through travel: fat in Italy, salt in Japan, acid in Mexico, and heat in her hometown of Berkeley, California, where she began her cooking career at Chez Panisse a little less than two decades ago. Being able to assign language to what it is that we experience, and in this case, what we experience when we eat, is super valuable. 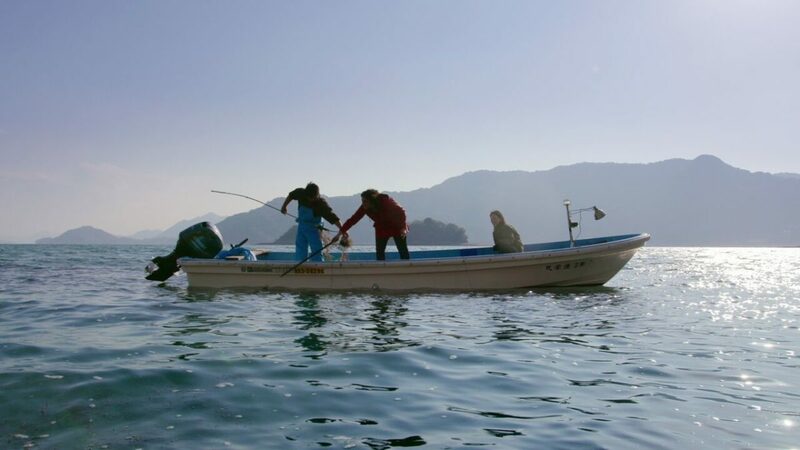 Fishing in Japan. Photo courtesy of Netflix. Tasting parmesan at Consorzio Vacche Rosse in Italy. Photo courtesy of Netflix. After leading a few cooking classes in Berkeley (and teaching Michael Pollan how to cook, an impressive footnote in her already illustrious career), Nosrat figured there was a better way to reach more people—first with her book, which came out in 2017, and then with the show. Fairly quickly, she realized her platform could be used for more than just teaching. Tasting soy sauce in Japan. Photo courtesy of Netflix. Citrus shopping with Regina Escalante in Mexico. Photo courtesy of Netflix. 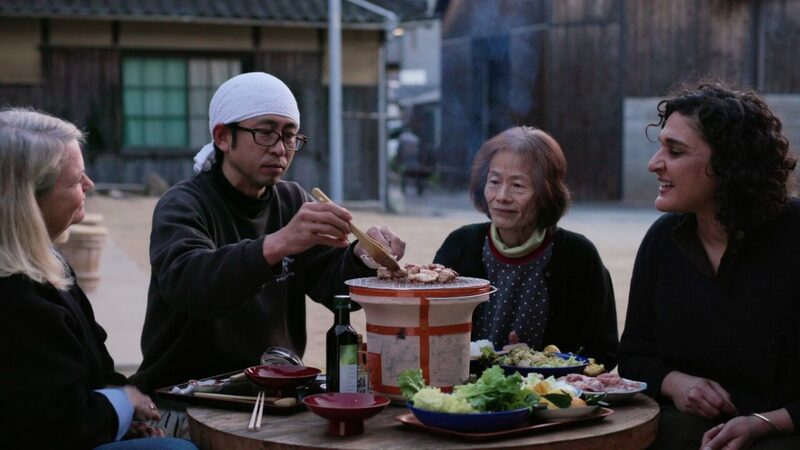 Which is the magic of the show — Nosrat’s ability to not only put her subjects, such as the grandmotherly pesto maker Lidia and the “miso master” Kazumi, at ease, but to bring the audience into her fold of familiarity, too. She’s incredibly likable, with none of the bravado that often accompanies cooking shows with males as the protagonist. That is really my ulterior motive in all of my work, which is that humans are more similar than we are different. 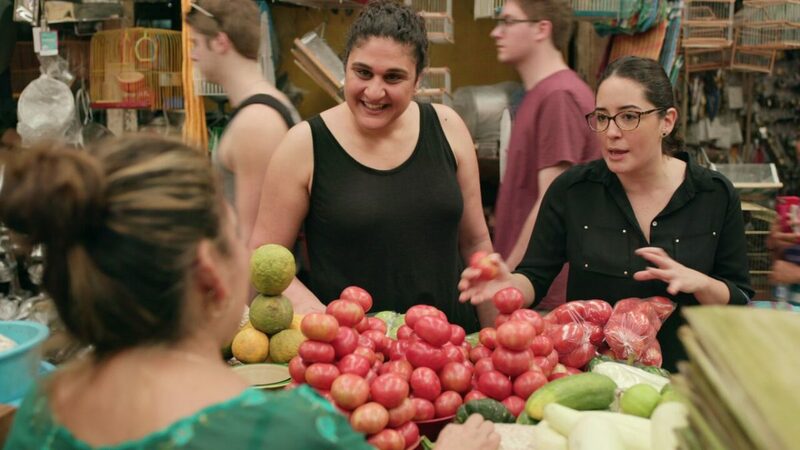 When she’s not in her own messy kitchen for the “Heat” episode, Nosrat is exploring everywhere from the rural countryside of Japan to the Yucatán region of Mexico. Highlights include a trip to the Yamaroku Shoyu soy sauce factory, a Melipona honey farm, and the Consorzio Vacche Rosse parmesan cheese producers, as well as the more informational segments, such as how much salt should be added to pasta water (a lot) or to ribs (also a lot).